Volkswagen has trumpeted a bright start to 2018 and outlined massive spending plans for electric vehicle and autonomous-driving ventures in China, ahead of the Beijing auto show, which is scheduled to open on Wednesday. Tapping into its world-leading research and development budget, Volkswagen (VW) has unveiled a €15 billion ($18 billion) investment plan for the next five years, as the German carmaker aims to outspend its rivals on developing electric and self-driving vehicles. The investment amounts to an extra 44 percent on top of VW's own spending on such purposes, and would benefit primarily the company's three joint ventures with Chinese carmakers, said Jochem Heizmann, head of Volkswagen's business in China. Speaking at a new-model presentation in Beijing on Tuesday, Heizmann said the group was hiking its investment in China because the market there "continues to surprise to the upside." 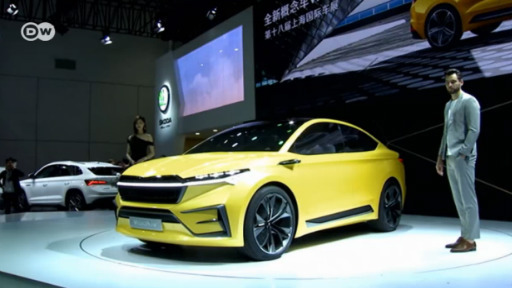 Together with joint-venture partner Anhui Jianghuai Automobile (JAC), VW plans to launch an electric sport-utility vehicle under a new brand called "Sol" with a range of more than 300 kilometers (186 miles). Overall, the VW group is aiming to deliver 1.5 million electric vehicles in China by 2025 and wants to start building electric cars in at least six Chinese factories by 2021. Speaking at the same event, VW group chief executive Herbert Diess noted that VW needed to "speed up" development because "change is getting faster, more dynamic and more ambitious, especially here in China." Diess replaced Matthias Mueller as CEO two weeks ago to accelerate Volkswagen's restructuring as it emerges from the 2015 emissions cheating scandal that resulted in billions of euros in fines. Under new technology plans, the world's biggest carmaker by sales aims to produce electric versions of all 300 cars, trucks and buses in its line-up, plus adding an all-new set of battery-powered vehicles. The CEO also said that VW had no plans to alter the joint-venture structure of its Chinese operations. China's government signaled last week that it'll eventually allow foreign automakers to take full ownership of their local ventures. The current 50 percent stake cap is scheduled to end for passenger-car producers in 2022.